The severity of Infectious Coryza (Avibacterium paragallinarum) depends on age, breed, environmental stress, and the presence of concurrent infection. 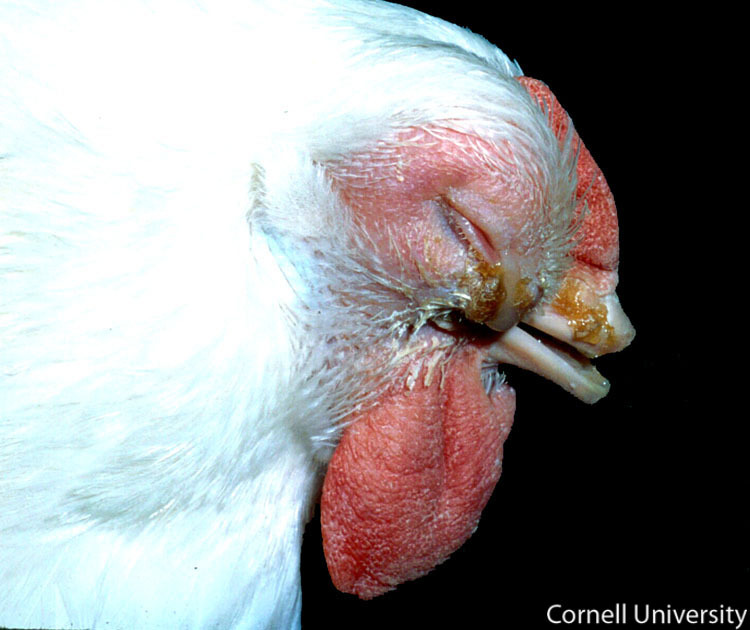 In young adult chickens, the severe form of the disease often occurs. Here, the characteristic signs of facial swelling, eyelids that are swollen closed, and nasal discharge can be seen. The head area, ocular tissue, and wattles are significantly swollen and there is a thick brown discharge from the eye and nares.